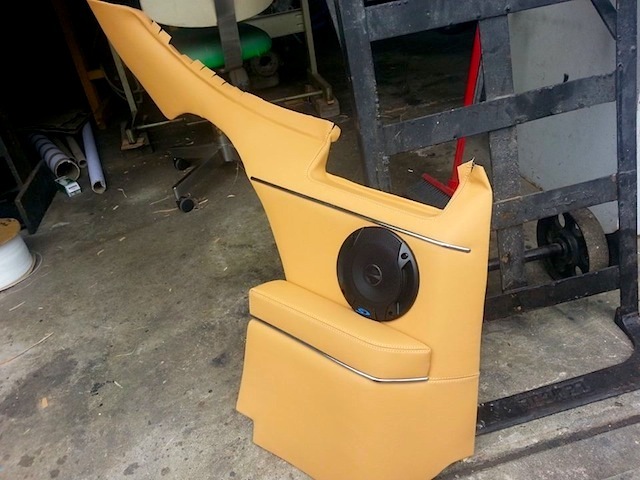 Over the last few weeks, we’ve followed master trimmer Brent Parker of Brent Parker Motor Trimming in Glenorie, Australia as he restored the interior of a rare 1974 Lamborghini Espada. 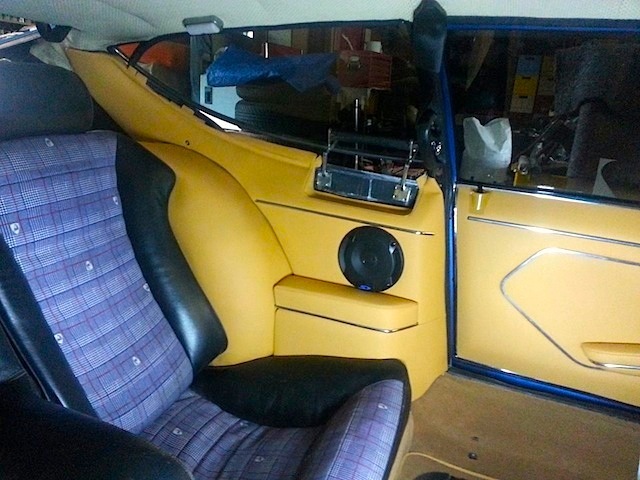 In part one of our four-part series showcasing his work, Brent showed us how he upholstered the Espada’s dashboard and console. Part two focused on its custom seats. 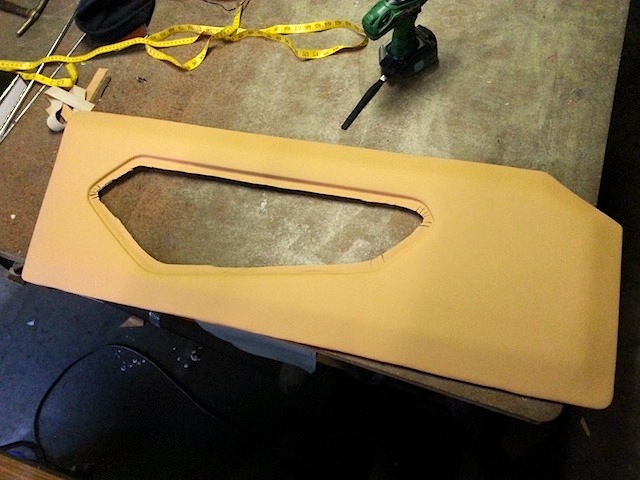 In this third installment, Brent explains the process of how he transformed this exotic supercar’s drab door panels into stunning works of art. 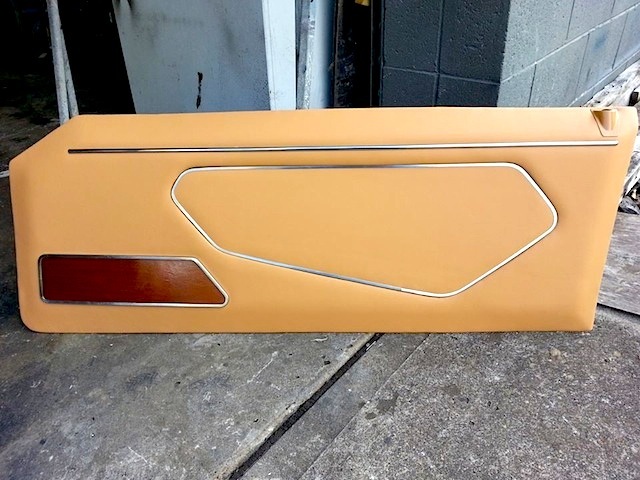 To start, Brent stripped the Espada’s original door panels, added new foam and wrapped them in beige Napa leather to match the vehicle’s new interior. 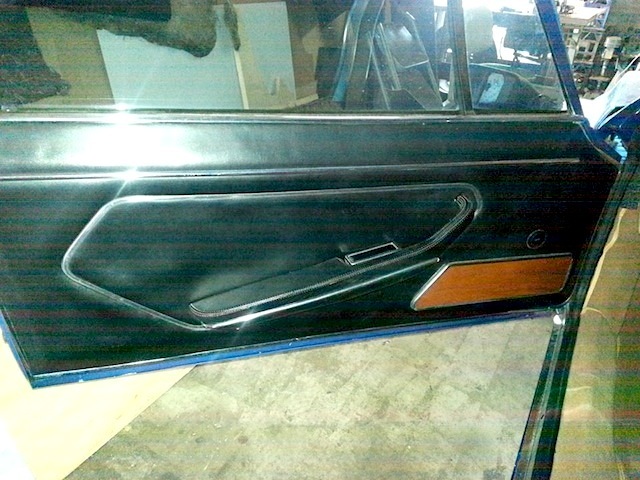 Before reattaching the door panels’ wood and metal accents, he restored them to a brilliant finish. Sometimes the smallest components of an interior are the hardest to upholster, but Brent is no rookie. 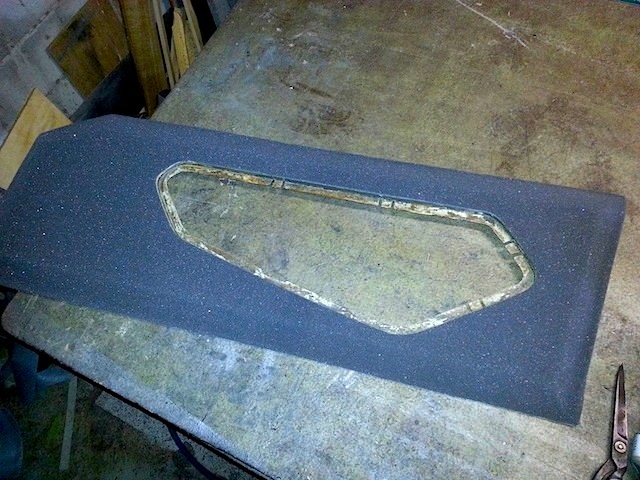 He masterfully trimmed the Espada’s door-panel armrests – making his template from scratch and adorning them with perfectly straight French seams. While an untrained eye might overlook such small details, every trimmer knows the difficulty and level of skill required to pull off such a task. “I’m so glad I had my twin needle machine, it was an absolute must for a job like this,” Brent said. 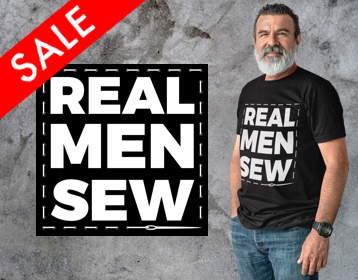 It’s true that a single-needle machine would’ve made the job more difficult, but sewing was the easy part. Making the patterns and gluing the finished covers while keeping the decorative stitches straight was the real challenge. Much like the rest of the Espada’s interior, the original rear door panels were a mess and in dire need of attention. 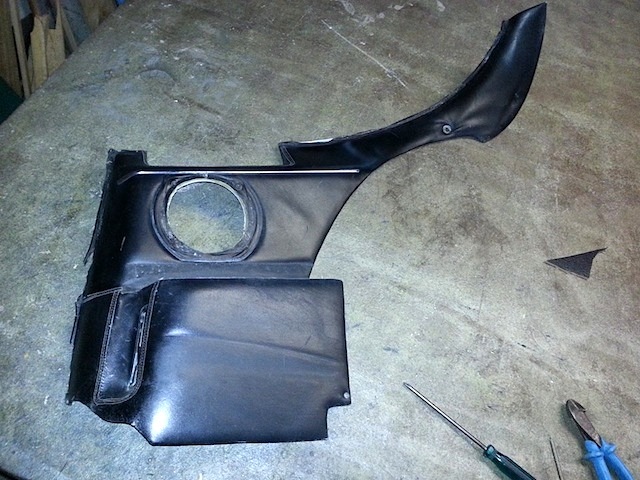 So, once again, Brent stripped them bare and started from scratch – adding new foam and creating his own template. 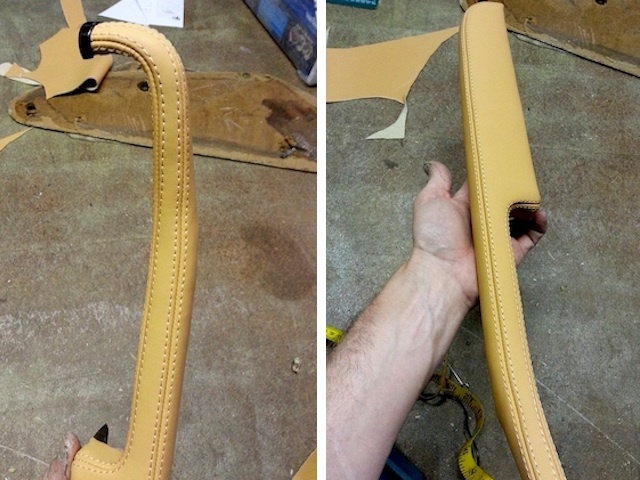 To trim the Espada’s interior, Brent had to pull out a few tricks. 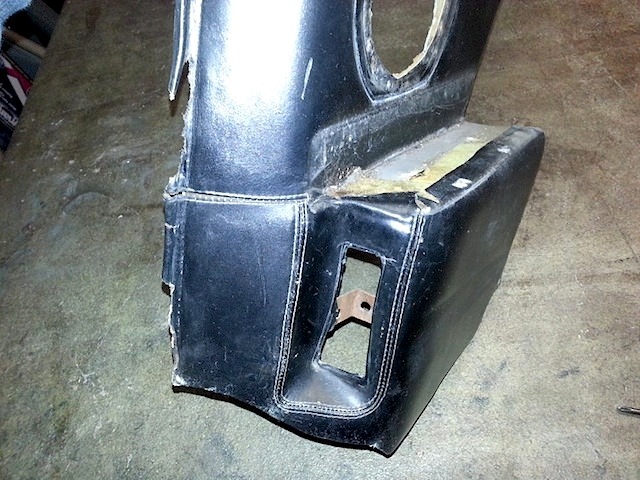 Pay close attention to the rear door panels and you’ll notice some of them. 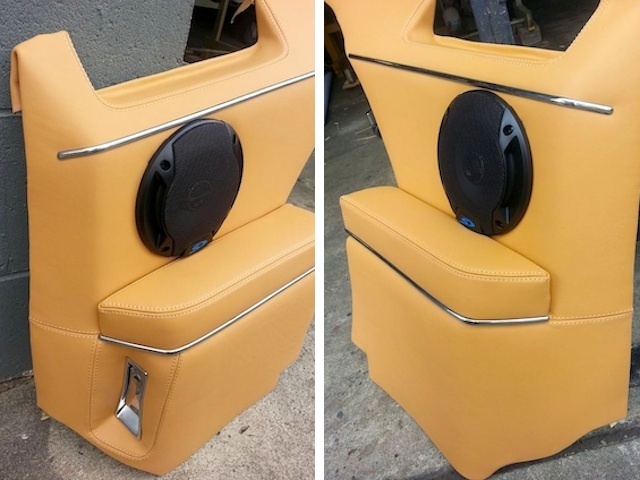 Before installing the rear door panels, Brent covered the wheel wells in matching leather. In fact, aside from the Espada’s vinyl headliner, every inch of this Lamborghini was covered in leather for a total of 5 complete hides. 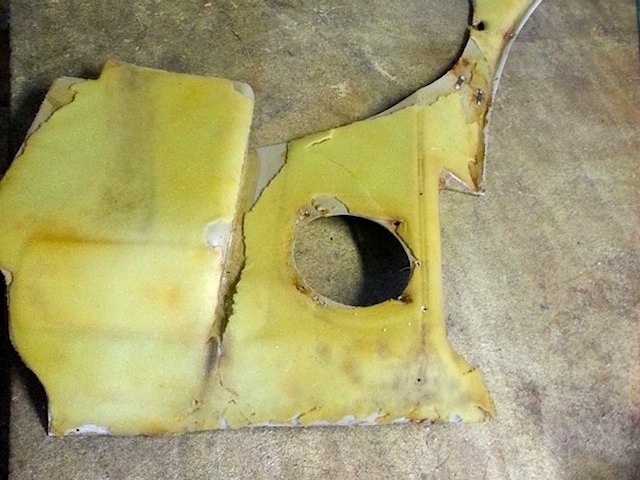 Stay tuned for part four of “Lambo Stitching with Brent Parker Motor Trimming” – when Brent walks us through the process of trimming this one-off Lamborghini’s headliner, carpet and underhood lining. Retired…Bravo, Changeing The Color In Any Car Is A Bold Move. Looks Great. Id Say Very Professional. Brent does such amazing work. I chatted with him recently and was amazed that he is as young as he is. I would have expected that level of workmanship to come from an older and more experienced trimmer. No doubt he has a great and long career still ahead of him. Outstanding work Brent! Brent’s workmanship and attention to detail is truly inspirational. The Espada was a beautiful grand touring supercar in its day and Brent has recreated a better than new interior without major alteration…Well done, Outstanding Brent!